This is the most common question that we have received other than specific product related inquiries. Soils are comprised of four major constituents that include mineral (inorganic); organic matter, air, and water. The proportions of each will vary depending on the type of soil and climate. Ideally, (which rarely exists) the proportions of each components are as follows: minerals 45%, air 25%, water 25%, and organic matter 5%. Soils are typically sub-divided into two major groups: mineral and organic soils. Mineral soils forms from weathered rocks and/or sediment that originates from rocks. Organic based soils are derived from biomass accumulation of decayed plant material. The percentages of the mineral and organic matter vary widely. 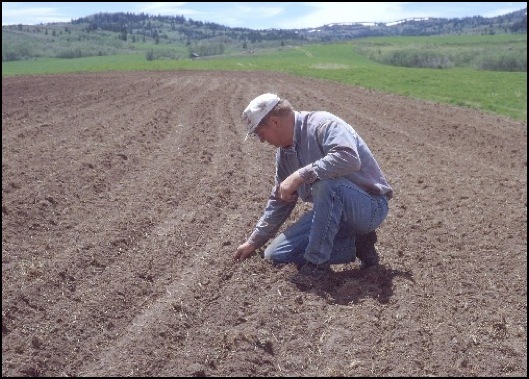 Soils in areas that have high moisture and plant biomass certainly would have characteristics of high organic matter and reduced air percentages. Conversely, soils in the arid regions would typify low organic matter with high mineral and air percentages. Air is vital for soil productivity, with the exception of water loving plants in wetlands or swamps. Nothing can compensate for air deficient soils. Suffocating plant roots in saturated and/or compacted soils are not able to respirate (aeration) or uptake nutrients. Therefore soil structure plays a major role in the root zone environment. The particles of soil determine the amount of air and water fractions. A healthy soil will contain large to medium size particles which increases the soil pore space percentage. Rainfall and/or irrigation adds needed soil moisture, however, good soil structure is also necessary to transport moisture upward from reserves in the lower soil layers. The combination of climate and soils determines resident plant life, soil organisms, and wildlife. This is typically referred to as ecological zones. These zones vary from deserts to rain forests and everything in between.